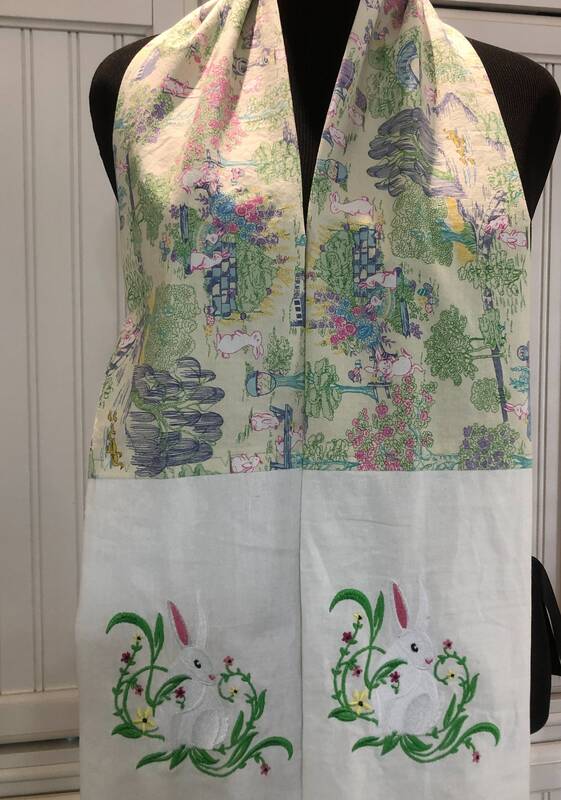 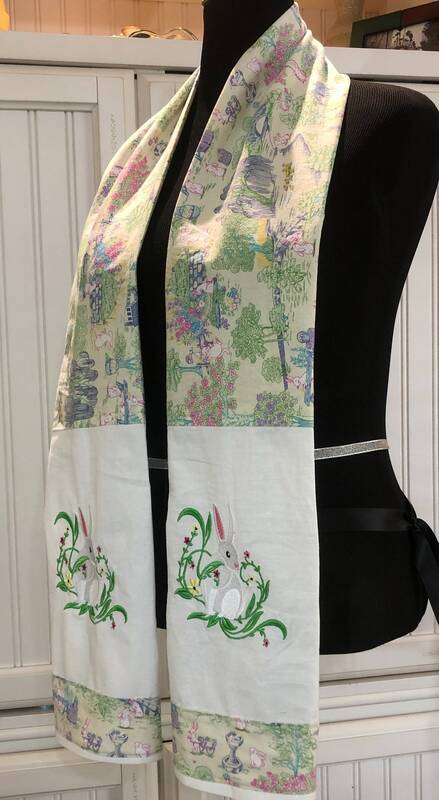 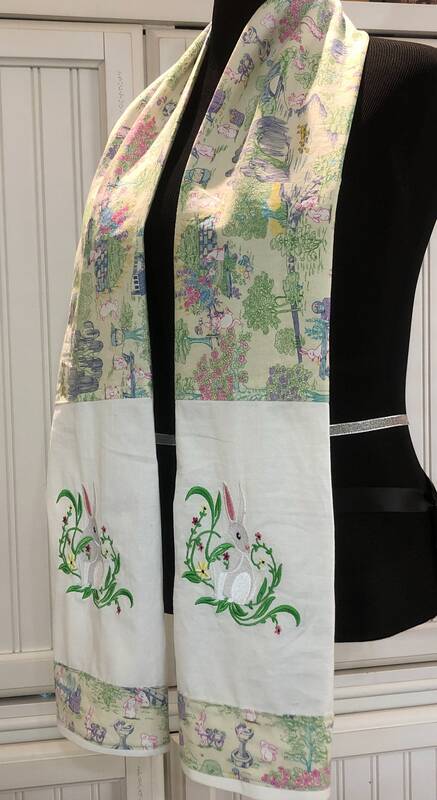 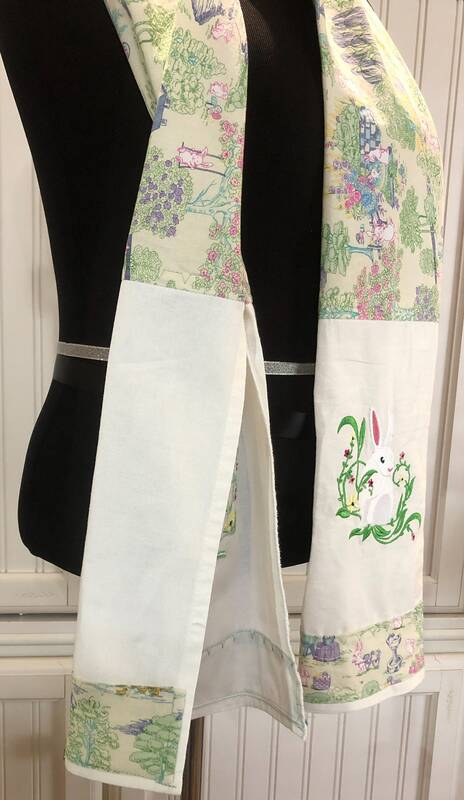 This handmade womens towel scarf or towel boa as some call them were made by pairing a beautiful bunny toile print cotton fabric with white embroidered flour sack kitchen towels. 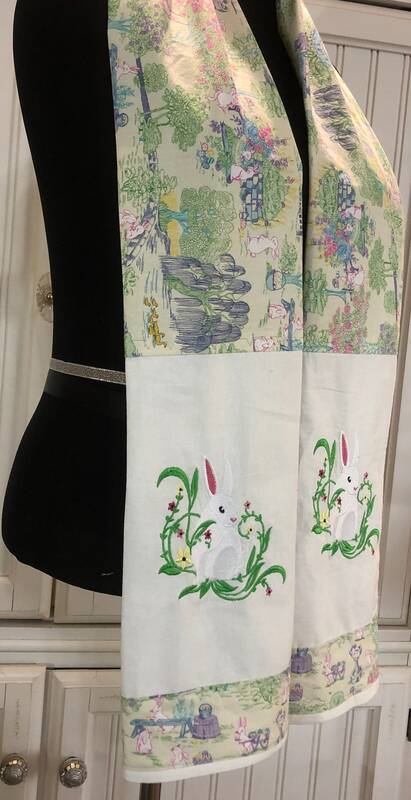 The towel fits comfortably around the neck and the end towel starts just at your waist. 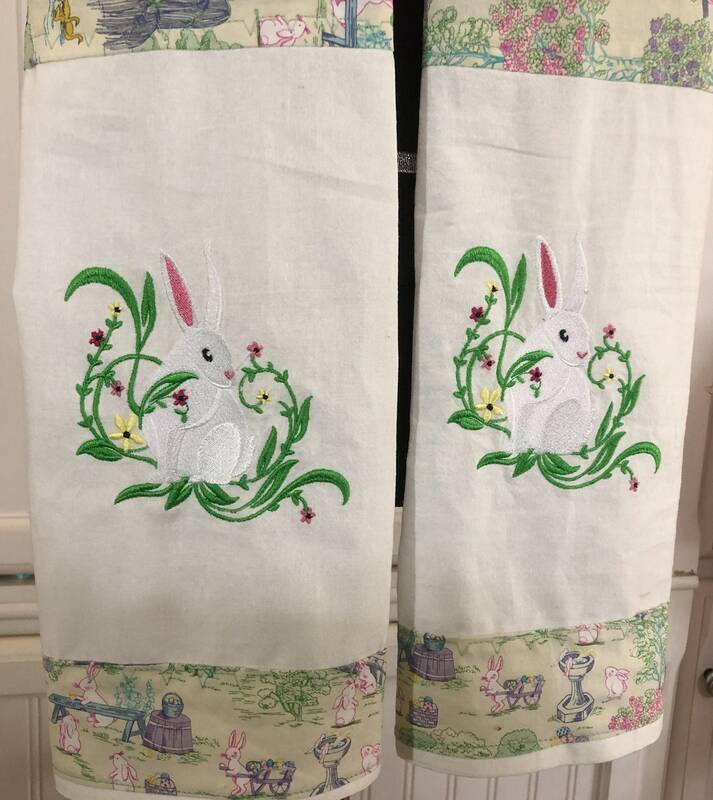 This is perfect for having that towel handy to wipe wet hands or lift a hot plate. 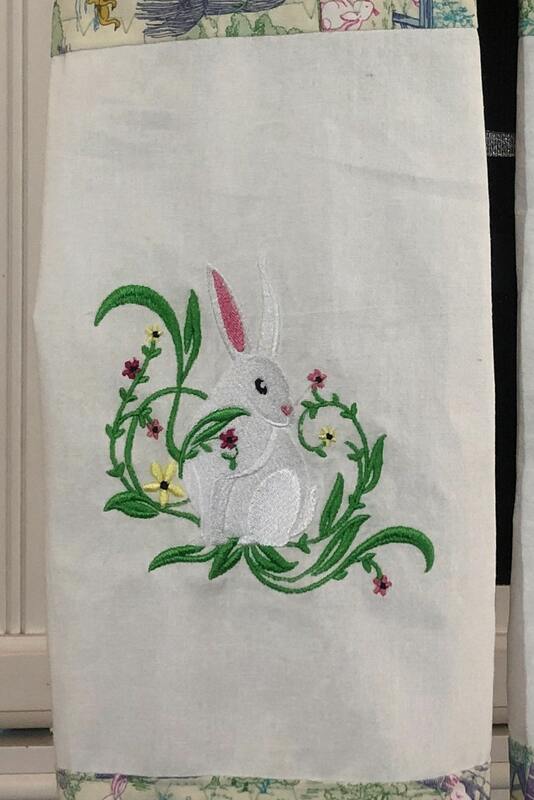 The flour sack towel has been pre washed to minimize shrinkage and then embroidered with a cute bunny print. 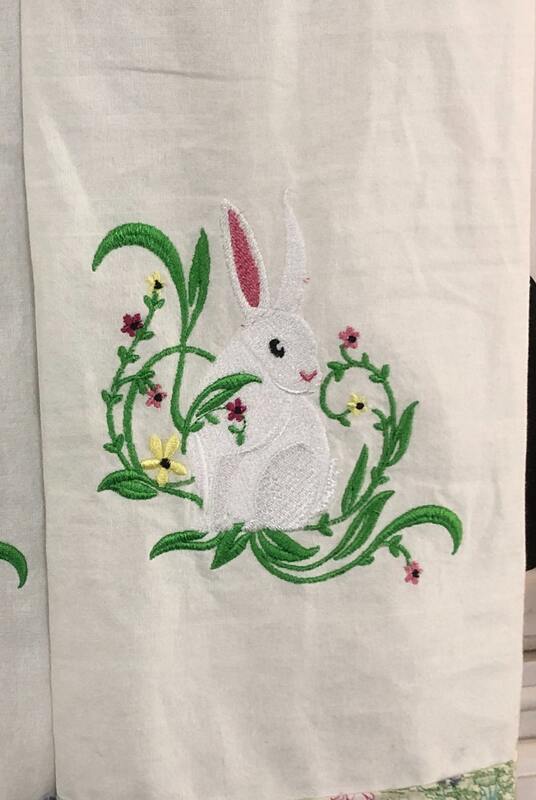 The ends of the towel we’re then trimmed with the same bunny toile cotton fabric. 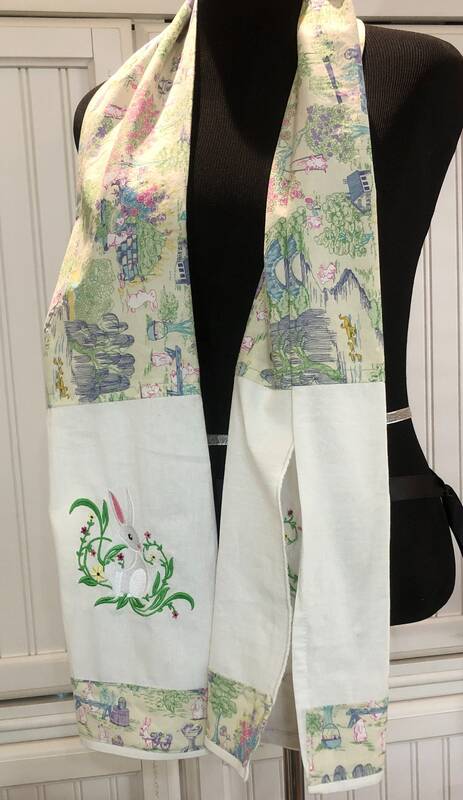 This towel scarf makes a perfect gift for any occasion. 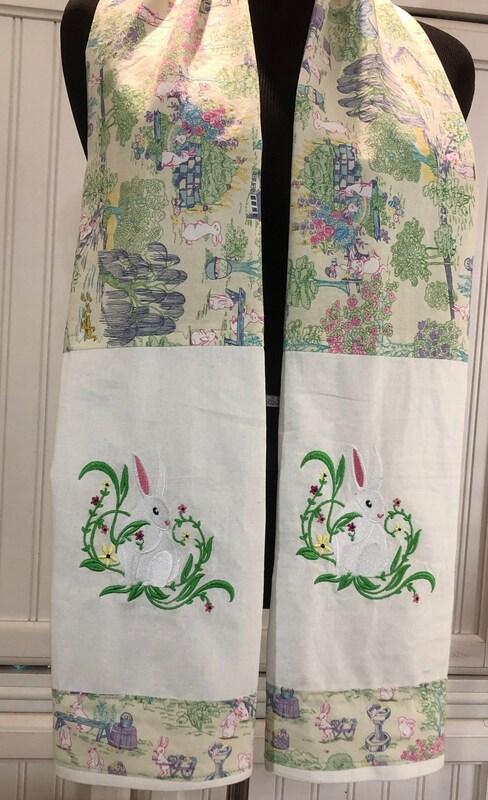 If you would like to purchase a custom towel scarf, just email me your color and design preferences so I can work with you to design your special custom towel scarf.